Ladies, who doesn’t love a little bling? For those of you who appreciate a little — or a lot, no judgement here — of sparkle in your wardrobe, brace yourself for FLAIR’s newest collection: Art Couture. Made with 24-carat gold and gleaming Swarovski crystals, these specs set a new standard when it comes to luxury. The sleek, rimless style makes these frames easy to wear, but it’s always nice when the temples have that little something extra. Go ahead, feast your eyes upon these glitzy masterpieces. 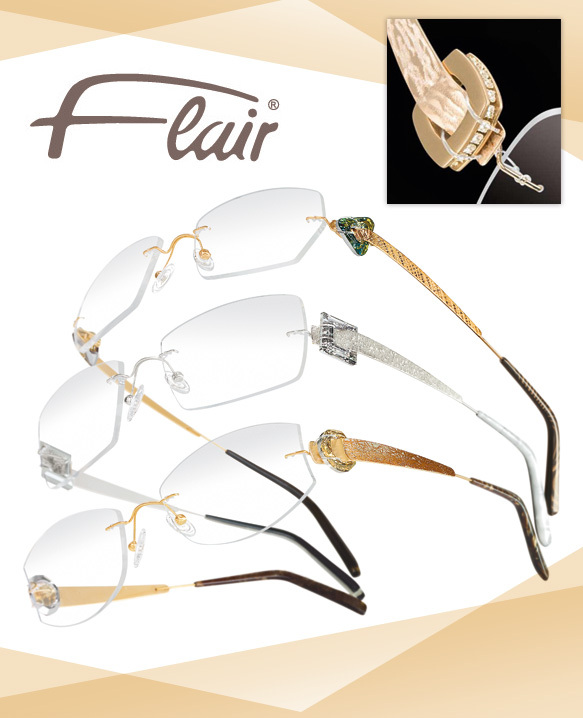 For more information on how to get your paws on these frames, visit optylux.com or call at 888.330.4636.